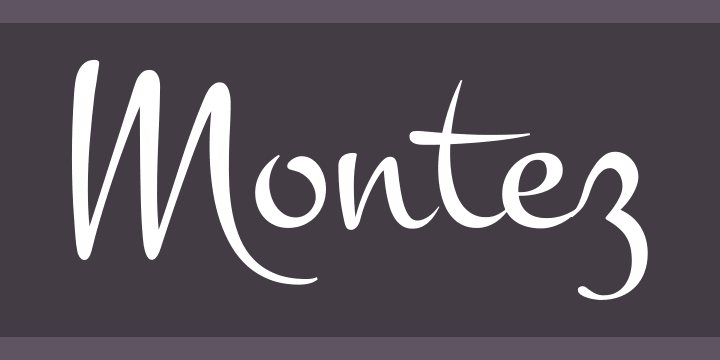 Montezuma is a script font which draws inspiration from 1960s beauty product ads. Its sweeping strokes lend to a feel of joy and elegance, making it ideal for display uses that require a little drama, “joie de vivre” or Joy of Life. Best settings are at medium to large text sizes for optimal readability.